There’s a lot of thing that are better riding a scooter second time around. Mobile phones. Not having the local greaser waiting at the top of my road to kick me off. Breakdown/recovery service as part of your insurance. General goodwill from most of the population, including bikers. But, there is one thing that is definitely WORSE. The state of the roads. I honestly can’t remember our roads ever being in as bad a state as they are now. 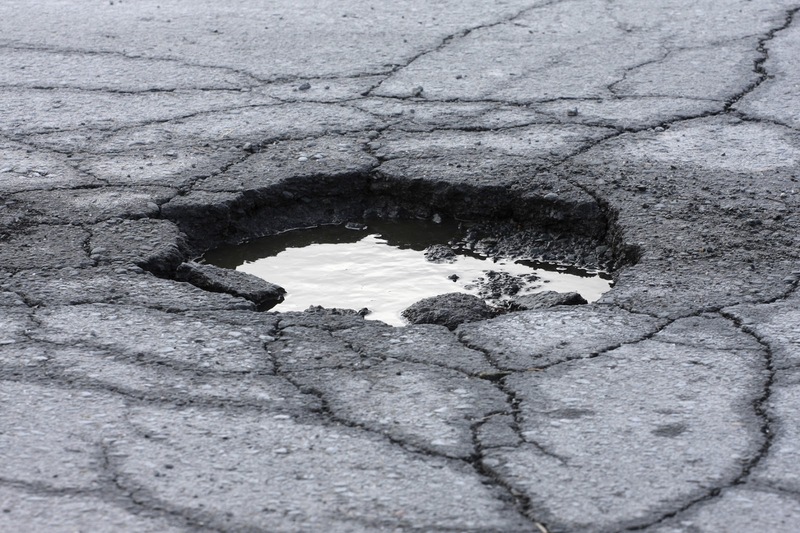 Potholes are bad enough if you’re a car driver… but if you’ve knackered your suspension, had a puncture, or damaged a wheel, maybe you’ve got off lightly. For Motorcyclists, scooterists and cyclists potholes can be nothing short of deadly. I had one little spill this winter on a corner… spotting a pothole half way round I changed my line, lost grip and hit the tarmac, being narrowly missed by an HGV. Not much damage, and just bruising so pretty lucky really, but it could have easily been so much worse. Local authorities put the state of the roads down to tight budgets and a harsh winter. But c’mon… it’s MAY now. And it must be cheaper to get the roads fixed than to pay out compo to damaged cars, and dead scooterists. And they have a DUTY to maintain the roads. I got sent this link: Fill that hole the other day, and while it’s run by the ctc, the national cyclists charity, it works for scooterists too. If you’ve got a bad pothole near you, REPORT it (you can easily do it on the site), it will be logged on the site, and check the status… whether it has been fixed or not. It all helps pile the pressure on the councils. So if you’ve got a pothole on your ride, REPORT it. You can even download an iPhone, Android or Blackberry App to your phone, and do it on the go. In the meantime, ride safe. This entry was posted in Lambretta Life, Rants by crocodilejock. Bookmark the permalink.